I didn’t vote for Trump, celebrate Inauguration Day and why you should do the same. I didn’t vote for Trump. Given the opportunity I wouldn’t vote for him again. So you get my point. I don’t particularly like him. But you know what I do like? America. Part of America and what makes it great is the peaceful transfer of power. So for all of those like me who are not fans of the President-elect, I have the following message for you. Enjoy Inauguration Day and celebrate it. I expect Democratic lawmakers to challenge the incoming President and hold him accountable for his actions. That is part of democracy and no matter how many Republicans try to shut Democrats up I am 100% in favor of them doing their job, which is to represent those who voted them into power. But the inauguration is a different story. It’s not about the individual you support for president rather your support for the office of the president. Boycotting, disrupting, or attempting to ruin the inauguration in any way is not partisan politics, it’s unpatriotic. 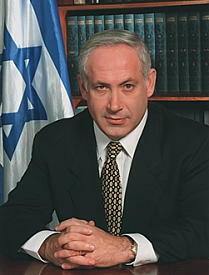 Inauguration day is not dependent on who is elected, it’s the step that takes place after that individual is elected. Inauguration day, like election day, is an American institution. The irony of protesting against or boycotting the inauguration is that it turns it into something it’s not. Partisan. It is not a Republican institution and when Democrats or Independents use their voice by trying to put a damper on the the inauguration, their efforts backfire. So do the right thing whether you celebrate who is becoming the next President of the United States or not by celebrating America’s democracy and enjoy and celebrate inauguration. It’s not the Republican or Democrat thing to do, it’s the American thing to do. Before all the information started coming out about the attacker in the nightclub in Orlando, who as of today is responsible for the murder of 50 people, the big question being asked was whether or not this was a terrorist attack or a hate crime? As authorities also arrested a suspect with an arsenal on the way to the Gay Pride parade in Los Angeles, the idea of calling it a hate crime became even more prevalent. In reality the actual distinction between terrorism and what we call hate crimes is a misnomer, since terrorism is in essence the ultimate hate crime. Civilization’s worst enemy today are Islamic Extremists. They have made it very clear that they want to destroy everything the western world stands for and believes in. They want to at best, neutralize, at worst destroy all other religions. Tolerance and acceptance are contrary to everything they believe in. In short, they hate everything we are and all we value. With all the criticism Democrats and Republicans have for the other side, we see today that America still is a great country. The majority of Liberals and Conservatives, even if they vehemently argue about gay marriage or gay rights, mourn the attack without any hint of prejudice because it took part in a gay club. This is of no big surprise, because this is a country in which the majority of its citizens do no want to see harm come to others and see this is an attack for what it is, an attack on America, which subsequently is an attack on all of us. That being said, I can’t help thinking about an episode of the show Friends in which the character Chandler starts smoking and the group are all over him about it. What does Chandler do? He brings up issues that cause them to fight among themselves and they totally forget he is even in the room, allowing him to smoke unencumbered. Yesterday, when I saw the beginning of dissent among the American public and the first finger pointing, I could not help but think how much that played into the hands of the terrorists. Friends was funny. This was not. The more we fight among ourselves, the more we point fingers at what we think is the other side-the truth is we are really all on the same side- the more vulnerable we become to terrorism. Naive? Maybe. But we must work together to preserve our freedoms and liberties. Divisiveness is in itself a continuation of the terror attacks for it attacks the very core of who we are. Not one person on either channel yesterday, at least no one I heard give their expert analysis was willing to say something to the effect of, “our leaders need to do more to recognize the enemy and there need to be stricter gun laws”. As I have said many times, most Muslims are not terrorists, but most terrorists today are Muslim. That is not a statement of bigotry, it is a statement of fact. I believe the administration makes a mistake in not clarifying that. But to say that and ignore the fact that gun laws need to be addressed is not looking at the entire problem. Truth is that terrorists are criminals themselves, so no gun law will make a major impact on what they try to do, but if it was not as easy as it is to get a gun in this country it’s hard not to make a case that lives would be saved. I believe in the right of every law abiding and mentally stable citizen to own a gun, but I also feel that someone who was investigated by the FBI and had a history of abusive and antagonistic behavior should somehow be prevented from owning one. If that means a yearly psychological analysis is needed to continue to have a right to own a gun, then so be it. No mentally stable law-abiding citizen should have a problem with that. Inconvenient? So is going through the security checks at the airport, but it’s a necessity in the world in which we live today and something we actually need to appreciate. The terrorist that killed the people in Orlando was, sad to say, homegrown. He was born and raised in the United States and somehow was filled with such hate for the way of life in America that he was willing to murder in what he felt was in the name of his religion. What this shows us is that regardless of what stances we take on immigration we still have a problem. Borders are made somewhat irrelevant by the internet, allowing organizations like ISIS to infiltrate our society and influence the angry and disenfranchised. Sure we can make things better by enforcing laws in all areas, including immigration, but the problem is more a reflection of the poor health of our society than the porous nature of our borders. There are many issues that need to be addressed to see to it that our society is safe and prosperous, and although terrorism is an enormous threat, our division among ourselves may be an even worse threat, and to ignore that or let it be ignored for the self-serving needs of any politician or pundit is something we can no longer allow to happen. If we do we then risk losing everything we hold dear as a nation and a society. Christian evangelicals, feminists, college students, white males, socialists, racists, are all part of the reason there has been such a large turnout of voters this Presidential primary season. It may indicate a greater interest in politics by American citizens, but when all is said and done there will likely only be 2 candidates remaining, and other than a protest vote, we can be fairly certain that a large number of people voting in the primaries will be too disillusioned to vote in the general election. The most likely demographic to be disillusioned are the supporters of Bernie Sanders. Those ‘feeling the Bern’, particularly those normally not showing an interest in politics, will find their usual apathy vindicated should Hillary not only win the nomination but do so with the help of the Democrats hierarchy. If it becomes obvious that the deck is stacked against Bernie thanks to Hillary’s support from Super Delegates, many of the more than 2.5 million people who have supported Sanders to date will either choose to ignore the process or even worse for the Democrats, protest it. One thing they won’t do is vote. Then there’s the approximately 35% of Republicans, mostly white males, supporting Donald Trump. If Donald Trump is not the nominee, regardless of whether or not an argument can be made for it being for fair or unfair reasons, a large number of those voters are likely to stay home as well. With the way Trump has gone after Cruz, even if he were to give his support to Cruz should the Texas Senator get the nomination, his constant use of the term “Lying Ted” will make it very difficult to convince Trump supporters to give their vote to Cruz. If the Convention is contested or worse for the Republicans, brokered, the only way these people will vote is if Donald Trump decides on a 3rd party run. I’ve repeatedly said that I don’t believe Donald Trump is actually a racist, a Demagogue yes, a racist no, but it is also fairly clear that the majority of white supremacists and anti-Semites are Trump supporters. If we are to accept that this demographic is galvanized by Trump’s atypical demeanor and rhetoric, the only other candidate out there fitting that mode would be Bernie Sanders. Well forget about that. These guys most certainly won’t go for the Jewish Socialist. Of course all of that also means that a large percentage of Cruz supporters won’t vote for Donald Trump. Many of these same people would likely stay home if another candidate was put forth at the convention unless Cruz was offered the job of Vice President. But even then, the Cruz supporters who are anti-establishment would feel betrayed by their candidate being pushed to the second spot. Trump getting the nomination for the Republicans also creates a problem, particularly if Clinton gets the nomination for the Democrats. There are many people, people who have shown support for many of the other candidates, who find neither of these candidates to be a viable option. The only way these people would vote is to stop a candidate, in which case their vote would be based on hate for one, rather than support for another. Either way this diminishes the turnout. Unless by some miracle a candidate presents themselves as someone who can unite the entire country, it is very apparent that the great turnout we see in the primary season is unlikely to repeat itself in November. Since neither of the front runners have been able to even do that within their own party, I think it is fairly safe to say that won’t happen, which means many Americans will look back at this past year as a big waste of time. Not the best thing for Democracy. As a fan of Star Trek the phrase “resistance is futile” comes to mind when thinking about the American presidential election process. For those who are not Star Trek geeks like me, this refers to the alien race known as the Borg that appeared in some of the Star Trek series and movies and had their way with every race they wished to assimilate into their culture. For the most part I am not a conspiracy theorist, so I am not that guy who believes that a few people have predetermined who is going to run things, but I do believe our democracy is controlled by money and power and when deciding the presidency, any resistance is indeed an act of futility. When it comes to money and power on the Republican side, the Bush family is certainly entrenched near or at the top of the pile. Although the Clinton’s don’t wield the same amount of either money or power as the Bush clan does, they’ve achieved a power and influence within the Democratic party that leaves Hilary Clinton virtually unchallenged in her pursuit of the presidency. Is this a good thing? I guess it depends on who you ask. 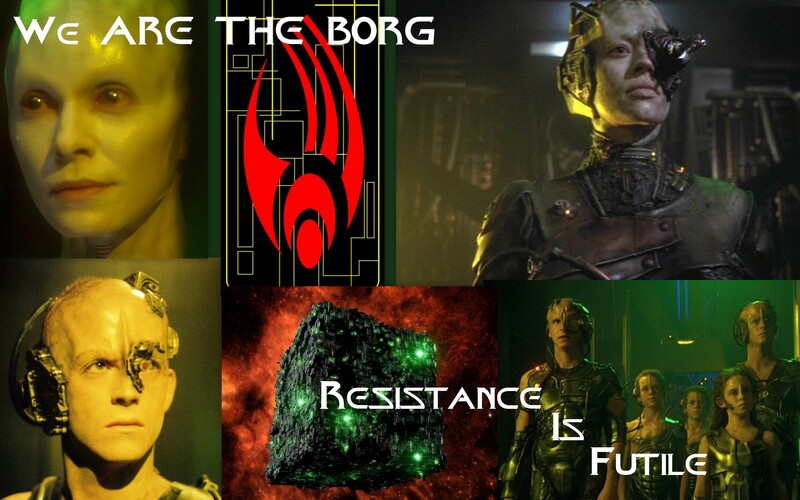 We could start by saying that the fact that “resistance is futile” is never a good thing. Of course this is up for debate since there are plenty of Republicans who will tell you they prefer Scott Walker,Ted Cruz, even Rand Paul or any of the other cast of characters throwing their hat into the ring, but the reality is that once the Bush people start spending their money and wielding their influence it’s hard to see anyone else in the Republican party winning the nomination. From the Democratic Party side, even if one was a strong supporter of the Bill Clinton presidency, some questions still remain at the wisdom of a Hilary candidacy. Maybe she would rise to the top of a more competitive field anyway, but the reality is that she is so assured of the nomination that Republican hopefuls already find themselves campaigning against her. So the truth is, not only is resistance futile, one might say voting is as well. I’m a sports fan. I love when the outcome of a season is uncertain. So 2 years ago in the NFL when Seattle predictably made it to the Super Bowl against Denver, and to many predictably won the game, despite my love for the sport I was not thrilled by what I watched that entire postseason. I always love the presidential election cycle. I find it enthralling, exciting, even fascinating. I find it hard to stop watching. Unfortunately this time I find it very predictable and subsequently losing a lot of its luster. 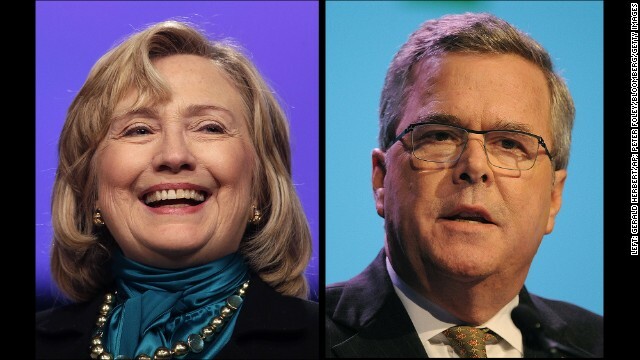 I am rather certain it will be a Bush against a Clinton, and since the Democrats just had 8 years in the White House, most likely it ends up with the Bush winning. I won’t even talk about who I like better and whether or not I think either one would be good for the country, because in the end this is how it will turn out regardless, and my opinion, let alone my vote, will have no impact on the end result. The frightening part to all of this is that this upcoming presidential election may be one of the most important in recent history and the American people are at the mercy of the money and power of a small group of people. At least that’s my opinion. If it turns out otherwise I’ll eat crow, but I’m rather confident it won’t. After all, resistance is futile. There are many ways to make this happen. One way is to let them see the numbers. Share this with everyone you know and ask them to do the same. Make this post and others like it go viral. Let those with no backbone or moral compass know that their jobs are at stake. We as Jews, as Americans, as peaceful people who will not deal with terrorists and nations that sponsor terrorism MUST not sit back idly and allow our politicians to commit this egregious act of betrayal against the State of Israel and its Prime Minister. It is our responsibility to let out politicians know that this is not only unacceptable but that there will be repercussions in fundraising and at the ballot boxes. We must use every legal and ethical tool at our disposal to make it VERY clear that boycotting the Prime Minister of Israel’s address to congress is UNACCEPTABLE. We must make it very clear that we will not vote, fund or support ANY politician that turns their back on the Jewish people, Israel, and it leaders at this crucial moment in history. Furthermore, if Democrats choose to put misguided leadership before ethical standards, it must be made clear that the result will be the loss of Jewish support in this country.